In light of Jack roasting Taylor’s shopping habits last night, I’m going to take this opportunity to share part of my life philosophy and stand with Taylor on her $40 toothbrush purchase. I’m not a big shopper like Taylor, in fact I avoid it whenever possible, I try to be smart with my money in that sense. However, when it comes to things that you use every day, e.g. your toothbrush, that is exactly when you should pay a premium to get exactly what you want. Maybe Jack likes his cheap, normal toothbrush and enjoys saving his cash, that’s fine. But every time he brushes his teeth and grabs that regular, average brush, he doesn’t get any added satisfaction. His daily hygienic chore is just that — a chore. On the other hand, Taylor’s toothbrush will probably have her springing out of bed each morning excited to get to the bathroom and use her gold Quip. Every brush will feel like a shot of luxury and completely validate her purchase. She’ll walk out the door in a good mood, and be counting down the hours until she gets to use it again before bed. And that’s where my philosophy comes in; spend good money on good products you’re going to use EVERY DAY. Life isn’t about the big victories. From most of us, they just don’t come often enough. If you’re always holding out for them, you’ll forget to notice and appreciate the little victories we can feel during even the most mundane parts of our lives. Every day luxury items are worth the extra money to give us those little victories. For me, I exclusively wear MeUndies underwear that I heard about from Pardon My Take. I could save money and buy a pack of average Hanes for half the price and be slightly uncomfortable all the time, but why would I do that to myself when I can be coddled by a fabric 5X softer than cotton? The little high I get when I put on a fresh pair (especially my camouflage printed ones) helps get me in the mood to conquer the day. 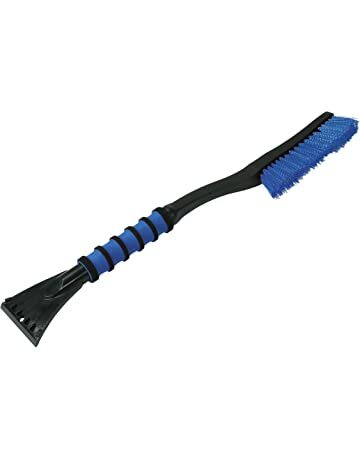 My other semi-luxury item is a LEGIT snow brush/ice scraper for my car. It extends to be 6 feet long and has a rotating head for crazy fast car-clearing even with the heaviest upstate snowfall. It’s worth every penny having lived in Central NY and the Capital District for the last 7 years. So Taylor, I stand firmly with you on your expensive toothbrush purchase. I don’t condone paying extra all the time, but when it comes to these little things we all use, pay for some added luxury, you’ll thank yourself each and every day.